Combining all the great shopping cart features from Ecommerce Templates with the power of WordPress you can get a powerful online store set up and selling in no time at all. Integrate the ecommerce software into an existing WordPress site, begin with one of our exclusive themes or start a new store with the theme of your choice. New WordPress themes now available! 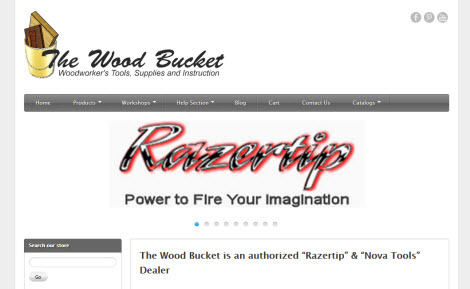 We have exclusive WordPress themes available with Ecommerce Templates shopping cart software already integrated. They are responsive which means they'll look great on the computer screen, laptop, tablet and smartphone. They come in nine different colors, dark and light backgrounds, left or right hand sidebar amongst other great features. You can use your own theme and paste in the code we provide to make up the 9 or 10 store pages. Upload the admin files, make the database connection and manage your products etc through the store control panel. 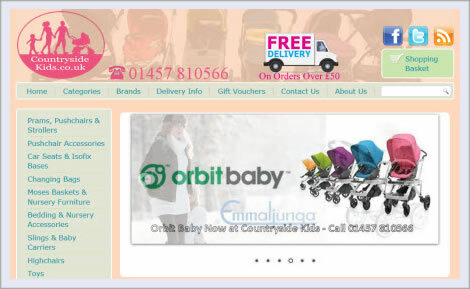 Alternatively start from one of our exclusive WordPress themes with the shopping cart software already integrated. 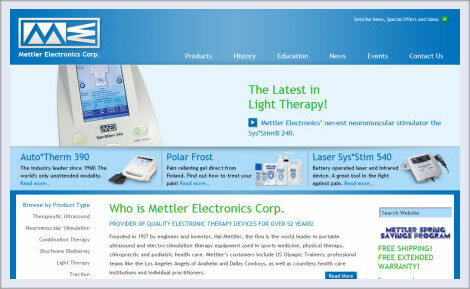 Ecommerce Templates shopping cart software is a one time fee of $159 or $229 for the ECT theme. There are no monthly or set up fees, and no hidden pricing. The purchase comes with 6 months of support and updates. Updaters are available after that time but not obligatory, the cost is $39.95 for a further 6 months of support and updates. ECT Hosted Store - NEW! No coding knowledge required, log into your online control panel, add your products and you're ready to sell online. Complete ecommerce solution for just $24.95 per month and NO set-up charges! Combining all the great shopping cart features from Ecommerce Templates with the flexibility of WordPress you can get a powerful online store set up and selling in no time at all. Integrate the shopping cart software into an existing WordPress site, start a new site from scratch with the theme of your choice or begin with one of the exclusive Ecommerce Templates WordPress themes..
We have set up an integration method which allows you to control the design side of things in the same way you would with a regular WordPress site whilst maintaining the integrated store via the regular Ecommerce Templates control panel. This is not just another simple WordPress ecommerce plug-in but a fully featured shopping cart wrapped into the WordPress framework. The integration with WordPress is very similar to our Generic Version. Basically we give you 5 PHP include lines to paste into custom pages within WordPress which will make up the 9 or 10 pages required by the shopping cart. You would then upload the admin files from your Ecommerce Templates download, make the database connection for the store and start managing your products, shipping, payments etc through the Ecommerce Templates online control panel that resides on your server. The integration does assume you have a copy of WordPress installed on your server. Alternatively you can start with one of the exclusive Ecommerce Templates WordPress themes and use that as the starting point for you new store. These come with the stores pages already set up for you and multitude of configuration choices for layouts and colors. Ecommerce Templates shopping cart software is a one time fee of $159 (£99 approx.). There are no monthly or set up fees, and no hidden pricing. The purchase comes with 6 months of support and 6 months of updates. Updaters are available after that time but not obligatory, the cost of the updater is $44.95 and includes a further 6 months of support and updates. 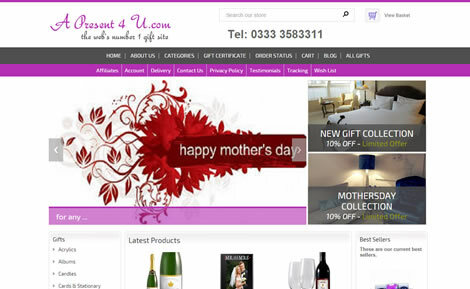 These are a sample of the stores which have been set up using Ecommerce Templates and WordPress. They are live and working stores so orders will be processed. 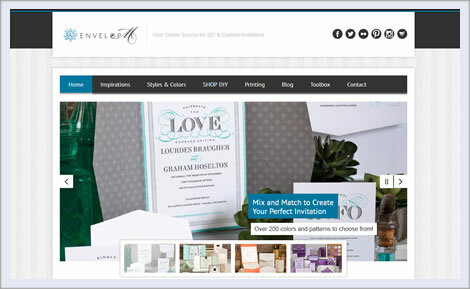 If you would like to see a much larger selection of businesses and individuals using Ecommerce Templates shopping cart software, please take a look at our Live Stores section. Can I use my own WordPress theme? Can I add the shopping cart to my existing WordPress site? Can I maintain my existing link structure? Can I use the cart in a responsive design and will the output adapt depending on the device I'm using or the browser window width? Why are there no recurring fees? What is the minimum version of WordPress required? Can I use an HTML editor like Dreamweaver instead of WordPress? Do you have a demo I can play with? Ecommerce Templates shopping cart software should be compatible with any WordPress theme but if in doubt please do get in contact. Yes, you can, just follow the integration instructions here. Yes, you can, the shopping cart will just add an extra nine or ten pages to your site and will be set up as custom pages. Yes, you can, Ecommerce Templates supports responsive designs. The product, product detail and category pages can all be css based and there is code in place so the cart fits nicely into smaller browser windows. Ecommerce Templates is licensed shopping cart software so you are free to host the store where you like. The license is good to set up one store on one domain. There is no connection to Ecommerce Templates once you have purchased unless of course you come back for support and updates. Everything is hosted on your server. You can in theory use any recent version of WordPress but we do strongly recommend that you keep up with their updates for security reasons. The shopping cart software runs independently from WordPress so you don't need to update the cart each time you update WordPress. This is not a WordPress plugin. The shopping cart database and admin section are independent of WordPress. This is important for security reasons as if your WordPress database were to be compromised, the shopping cart admin and database will be kept apart. 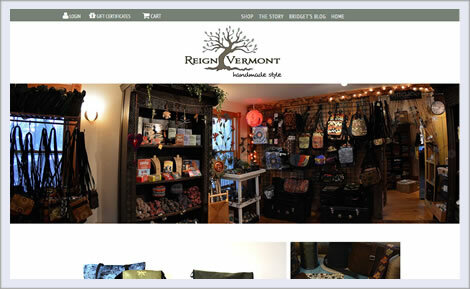 It also allows for a fully featured shopping cart to be integrated without any constraints from the WordPress admin. Yes, you can. We have integrated the shopping cart software into Dreamweaver. You can also use the HTML editor of your choice with our CSS, Responsive Designs and Generic Version. The initial purchase comes with six months' support available here. Support is available directly from the developers of the shopping cart software. We don't have a downloadable trial version but do offer a 30 day money back guarantee if you are not satisfied with the software or the service you receive from Ecommerce Templates. There is a demo of the store control panel on our main demo store. If you would like to look around a sample Ecommerce Templates WordPress setup, we have that available here. Can I use the multiple language feature with WordPress? At the moment the multiple language feature of having up to 3 languages from the same database is not available. Please follow the links below to get started with your shopping cart integration. If you have any questions at all please do get in contact.